I was unfortunately caught in the midst of Saturday evening's Lights Festival on Michigan Avenue. 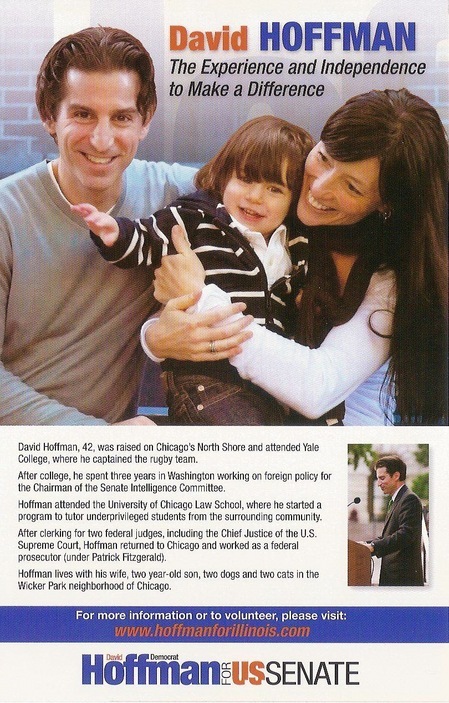 Just as I was looking for shelter off of Chicago Avenue, a young man passed me this flyer--an ad for Senate hopeful David Hoffman, whose bid Ramsin has discussed in the past. 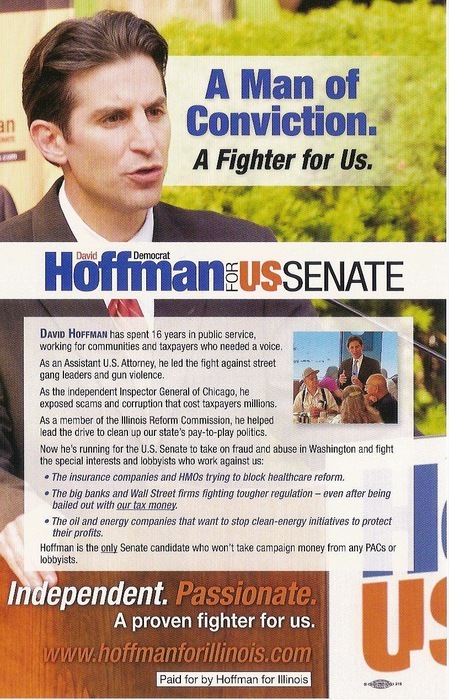 In his ads, Hoffman is emphasizing his experience as the independent Inspector General of Chicago, arguing that "he exposed scams and corruption that cost taxpayers millions" and as a member of the Illinois Reform Commission, where he "helped lead the drive to clean up our state's pay-to-play politics."